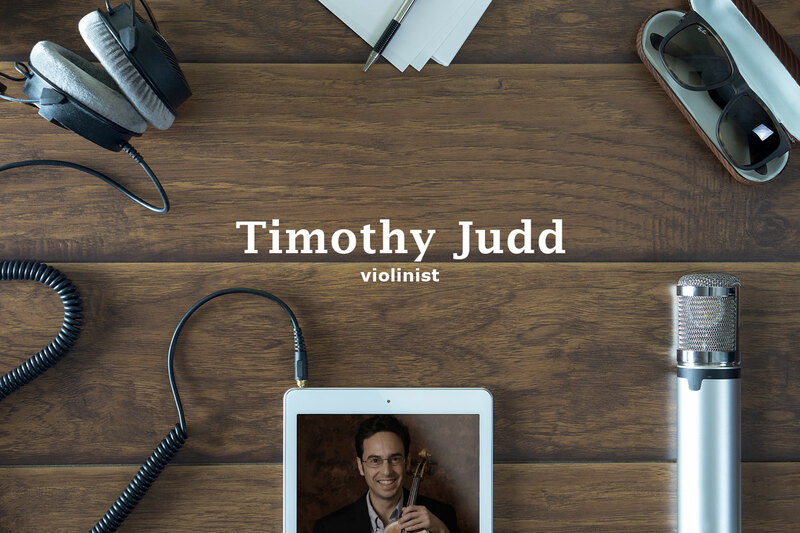 Violinist Timothy Judd passionately embraces the roles of performer, teacher, and blogger. 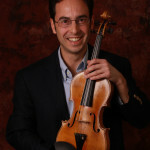 A native of Upstate New York, Mr. Judd has been a member of the Richmond Symphony violin section since 2001. He maintains a large private violin studio in the Richmond, Virginia area, made up of Suzuki students as well as older advanced players. Timothy Judd is also the author of the popular music appreciation blog, The Listeners’ Club. Timothy Judd is a graduate of the Eastman School of Music where he earned the degrees Bachelor of Music and Master of Music, studying with world renowned Ukrainian-American violinist Oleh Krysa. The son of public school music educators, he began violin lessons at the age of four through Eastman’s Community Education Division. He was a student of Anastasia Jempelis, one of the earliest champions of the Suzuki method in the United States. Other influential teachers include Charles Haupt, Victor Danchenko, James Buswell, David Cerone and the members of the Lydian String Quartet. Mr. Judd has performed with the Syracuse Symphony Orchestra, Virginia Symphony Orchestra, Albany Symphony, Erie Philharmonic, Slee Sinfonietta, Rochester Chamber Orchestra and Skaneateles Festival Orchestra. He is a former member of the Western New York Chamber Orchestra and is currently a member of the Williamsburg Symphonia. As an orchestral musician, he has performed at New York’s Alice Tully Hall and the Kennedy Center in Washington and has been heard on public radio’sPerformance Today. Throughout his career, Mr. Judd has appeared with such notable and diverse performers as Gil Shaham, Andre Watts, Renee Fleming, Garrison Keillor, and the rock band Yes. Timothy Judd also enjoys playing chamber music, recently becoming a founding member of Crescendo: Mike Goldberg and Friends, an organization which has performed throughout Central Virginia. A passionate teacher, Mr. Judd has built one of Richmond’s largest Suzuki violin studios and has been active coaching chamber music and numerous youth orchestra sectionals. Mr. Judd has contributed articles to Polyphonic.org- The Orchestra Musician Forum and Drew McManus’s Adaptistration through the Take A Friend To The Orchestra series. Timothy Judd performs on an instrument that was made in 1894 by the respected English violin maker William Ebsworth Hill.